Hynt Beauty Sun Prep (£49.00) is a relatively recent addition to my pro kit and a products that I have loved from the off. A Broad Spectrum SPF moisturising cream which can be used as a make-up primer… I’ll stop right there. Yes, Sun Prep can be used as a make-up primer, applied to the skin as a base prior to your make-up. The reason I felt the need to reiterate that was that finding a green make-up primer with SPF protection is a very rare thing and I have been particularly excited about sharing it. With an sun protection factor of 25, Sun Prep uses micronised (non-nano) Titanium Dioxide to protect the skin from both UVA and UVB rays. 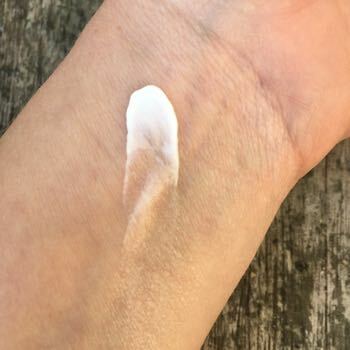 Despite being a sun screen, Sun Prep has absolutely no white cast once blended (as you can see) and so can be used on any skin tone (woohoo!!). I’ve been using Sun Prep on both male and female talent for a few months now and it has been going down a treat with all concerned. 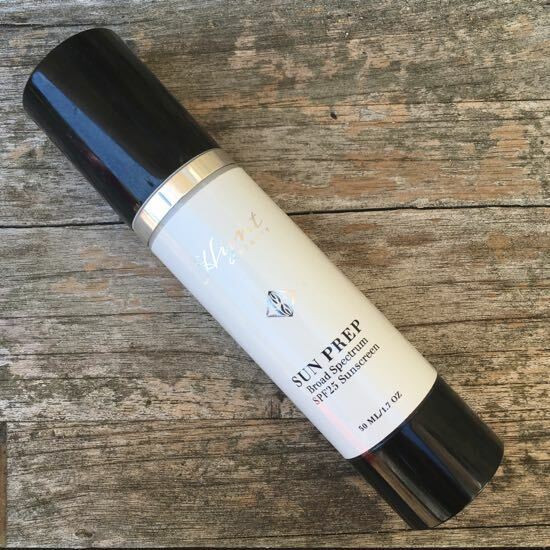 As well as the SPF element, Sun Prep also contains a number of beneficial ingredients such as Pine Bark Extract which is know for its ability to reduced UV damage to the skin. 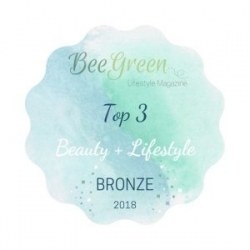 Also in there is zinc rich Organic Sesame Seed Oil which contains antioxidants which help counteract free radicals; Green Tea Leaf chichis an antioxidant and is thought to improve the appearance of sun-damaged skin. Finally organic Aloe Vera Leaf which as we all know is a soothing anti-inflammatory so will sun damage. This isn’t a one trick pony; the priming aspect of the cream also gets a thumbs up. Sun Prep gives the appearance of smoother skin; reducing the appearance of fine lines and larger pores and gives the skin a lovely velvety feel. This finish means it can also be used as a stand alone skincare product. It is incredibly lightweight and goes on like a dream, absorbing quickly into the skin and leaving no residual greasiness. There is a slight dewy sheen on the skin after application which looks great if you are wearing it alone but can easily be knocked back with a little powder if it isn’t to your taste. When it comes to make-up, Sun Prep wears it well. As yet I haven’t come across a product that it doesn’t seem to get on with; there has been no pilling (balling/beading of product) or uneven coverage. I have yet to use it with any special effects products or prosthetics so will update when I do so. Have you tried Sun Prep yet? 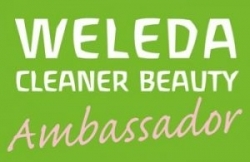 Free from: Petrochemicals, Parabens, Nano-particles, Bismuth Oxychloride, Talc, Silicones, Mineral Oil, GMO’s, Artificial Fragrance, Artificial Preservatives, FD&C dyes, Carmine and Phthalates.